The organization provides low cost temporary/transitional/permanent housing, job development services and a continuum of care for economically disadvantaged, disabled and homeless veterans. Veterans LifeOps develops and manages residential housing and social service programs for veterans, as well as other special needs populations, including, severely disabled persons, individuals with mental illness diagnoses and senior citizens. 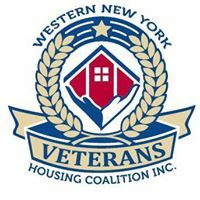 Are you familiar with Western New York Veterans Housing Coalition, Inc.? Help FreeRehabCenters.org users find out answers.